Oralia Gonzalez has invested greatly in the quality of her family childcare center at Mommy Rabbit’s Family Childcare Center. In her own words, “Nothing compares to the bond that is created between a mother and child when they are together and breastfeeding. Providing a quiet and comfortable place for mothers to breastfeed is one of the ways that I am supporting such special connection between mothers and babies”. Ms. Gonzalez’ enthusiasm adds to her driven goal to decrease breastfeeding barriers for families under her care. She ensures that at her childcare center every child is experiencing a safe, loving, and nurturing environment. Her dedication is truly reflected on all ongoing improvements into her establishment. When you enter Mommy Rabbit’s Family Childcare Center, you will see that your child will have the tools necessary for a healthy growth and development. From colorful toys, fun filled books, and soothing lullabies–as well as, homemade child-sized canopies for a calm and serene slumber–Ms. Gonzalez is proud to be a partner of Breastfeeding-Friendly San Diego (Pro-Lactancia), and supporting families’ healthy nutrition habits everywhere. 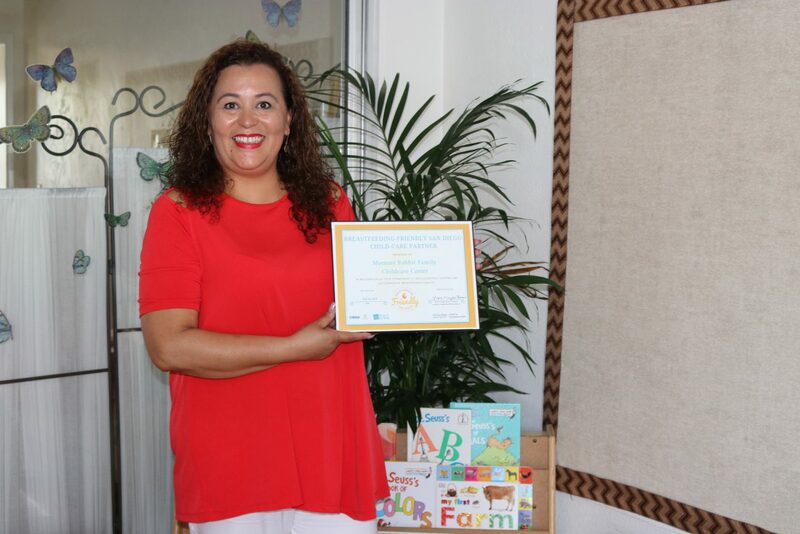 Congratulations Mommy Rabbit’s Family Childcare Center on becoming a Breastfeeding-Friendly Childcare (Pro-Lactancia) partner and thank you for the service you provide to our local families!